On Tuesday night Griffin put on her FAVORITE "Happy Pants" and we headed to dinner with Dave's parents, grandmas and his younger brother and his girlfriend to celebrate their birthdays. And Griffin party danced with her Gram. Yes - she's learned from the best,,, her big brother has some MOVES!!! Mason's FAVORITE activity this week has been art. All he wants to do is color with markers and paint! Rather than try to keep his creativity on small sheets of paper - we've resorted to covering the entire table and letting him have at it. One of my FAVORITE sites, Zulily, has some AWESOME deals on right now! I picked up this fun sand digger and spiderman cape (with an M for Mason!) to tuck away for Christmas. Because I'm a planner like that. Plus my FAVORITE brand of personalized plates goes live on their site this morning!!! (9 a.m. CST). 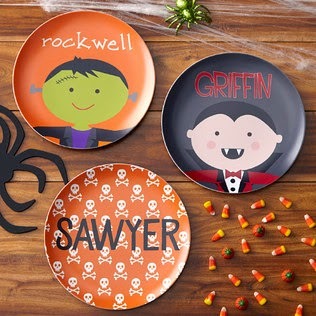 How cute are these Halloween plates?!?!?! LOVE! Yesterday I wore one of my FAVORITE outfits. It's quirky and comfy and I love it. This particular group of women can often be found at the back of my local bakery. Eating pastries and sipping tea. Chatting and giggling like they own the place. And when they happen to be here at the same time that I am, it kinda lights up my morning. Today, they made a remark about my boys, so I seized the opportunity to inquire about their gathering. Then one of the ladies welcomed my asking with the sweetest smile and said, "Well, we have been meeting up like this, once a week, for 33 years. we have known each other for so long that we all walk, talk and dress alike now. We are more than friends, we are family. We have been through it all together. So, sweetheart, I guess you could say this is a cherished age-old Sisterhood"
I immediately screenshotted it and texted it out to MY sisterhood :) This may have been my FAVORITE IG post all week. Please note that several of the ladies are wearing puffer vests and one has on a twill anorak. LOVE! Sidenote: if you missed me Teacher Tuesday post, you can find it HERE along with links to some other fun things I do in my classroom. 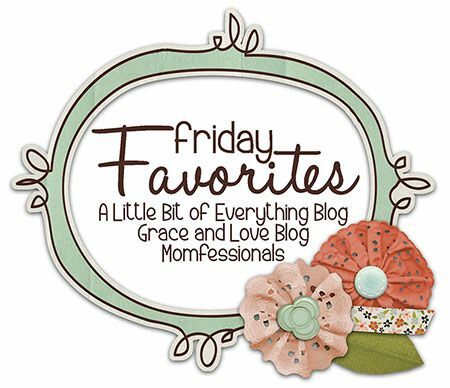 I hope your weekends are filled with your favorites as well!!! See y'all on Monday! Griffin looks adorable in her pants, she's always dressed so cute! Loved your favorites this week!!! And oh my goodness...Dave has his own mini!!! That picture of G dancing is ABSOLUTELY PRECIOUS! And I've never really thought that Luke looked like Dave, UNTIL NOW OF COURSE! Wow! new follower from X-extremely V...excited to link up! I love finding other mamas blogs! Those Halloween plates are adorable! Your favorite outfit looks so fun and comfy! 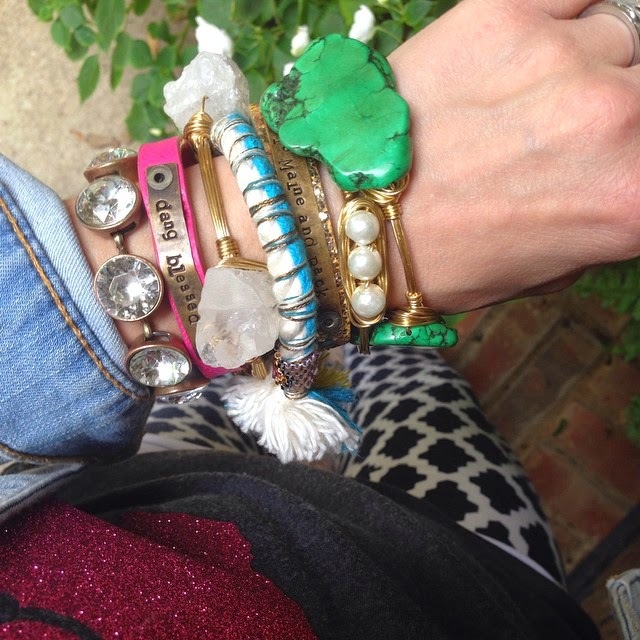 Love your arm candy! Those plates are so cute!!!! Also, Griffin rocked her cute Mustard Pie!! So fun!!! Oh, Texas Roadhouse birthday saddle...I have been conned not once, but twice, into going there on my birthday and being mortified having to sit on that thing in front of a crowded restaurant. It's funny looking back on it now but at the time, I was not appreciative haha! PS LOVE those bracelets! So fun! You MUST share where those adorable plates are from and can you please just move in with me and dress my daughter every day for the rest of forever? Griffin is WAY too cute! Happy Friday! Your kids are adorable! Love the covered table for art. Thank you for hosting the link up. What brand is the digger thingy? My nephew would LOVE that! Where did you get the grey shirt with the pink Texas?! I am a Texas newbie and love it! Happy Friday! I just love those personalized plates! Hi Andrea! I tried linking up. Not sure if it worked. I'm at frostyourparty.com. I did it from my iphone. Maybe that's the problem. Those are some super happy pants! And I love your bracelets. 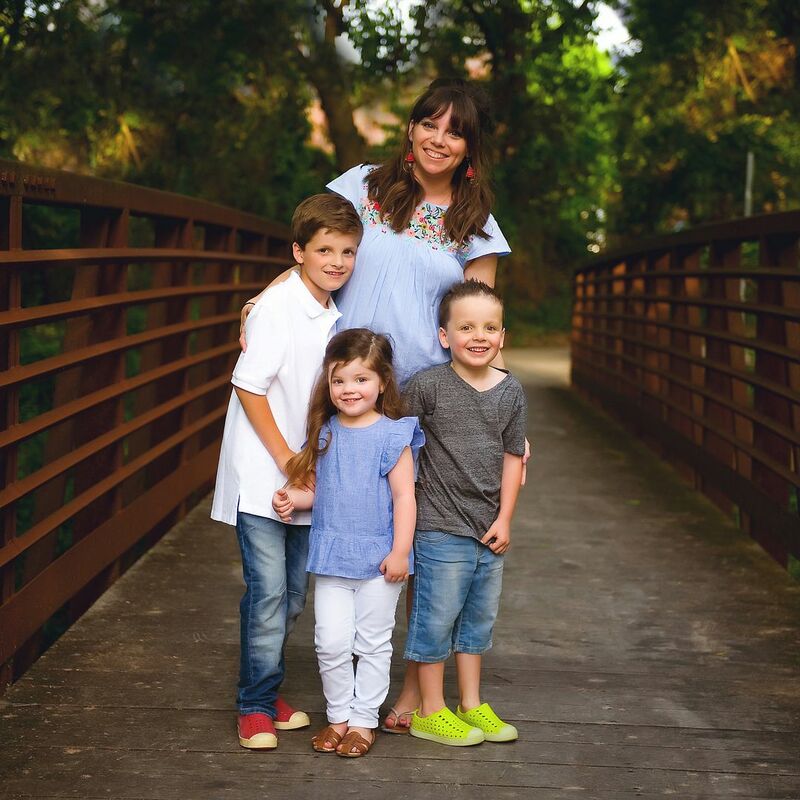 Andrea, 4 things...Your kids are adorable as always, Luke is a very handsome 6 year old! You've got the cutest clothes! And I love the Halloween plates-very cute!! Happy Friday to you! I just bought that cape for my 4 year old- also a Christmas present! He will LOVE it! Thanks! Love, love, love your outfit! You are my kinda girl! Your "dang blessed" bracelet....must know where you found that please ma'am. Love G's happy pants!!!! I just might be stealing Mason's favorite activity for H this weekend. Homegirl loves her some paint :) And I'm pretty sure I have told you before, but seriously....Luke needs to model!!! Awwwww! Thank you! We think he's pretty handsome :) Happy painting! Cute post, Andrea! Thanks for sharing! The teacher in me has to let you know that you have an error on your test slide. If I am seeing it correctly, you wrote, "Its Test Day," and it should read "It's Test Day." The apostrophe needs to be there for it to be grammatically correct. Sorry...it kind of made me cringe since you teach middle schoolers, and they EVERYTHING leaves an impression. Trust me, I have taught a long time (college students now!) I would want to know, and I hope you feel the same way! This is for the teachers comment your comment actually had wording issues as well, you mentioned you would want to know so I am letting you know as well (returning the favor). I have typos daily maybe even now at this moment. :) I just adore Andrea and felt bad when I read it. I totally understand how it is to run after kids, work, and find the time to keep up with your hobbies. :) Have a fantastic day ladies! Love your blog by the way! Your kids are adorable! Hey Andrea, Just checking, this is my first time to link up, and the graphic doesn't appear in my post. Everything else seems to work perfectly, so I'm just curious what would cause that? Anyway, super fun! No idea! did you grab the entire code??? Thanks for linking up! Never mind! I got it. Ha! As always, love seeing those cute faces on those kiddos of yours! Griffin is just growing like crazy! I need to try just covering the table and letting Xavier have some fun with paint and such. My luck he will cover our white cabinets instead! I have always thought that Luke and Dave were twins! Love the idea of covering the whole table and letting them have at it! My son likes to color, but often misses the sides of the paper and the table gets a good crayon coating so this is so smart! Totally going to do that too. I second Elizabeth. Where's a good place to find paper? I am totally clueless when it comes to crafts! Thank you. Hi! Can you tell us who is your favorite personalized plate designer/brand? It's no longer available on Zulily. Thanks! Your baby girls is unbelievably cute! I just love her outfit!!! Also I'm totally stealing that great idea of covering the entire table with paper for the kiddos to draw their masterpieces. I'm new here and I love you!! !